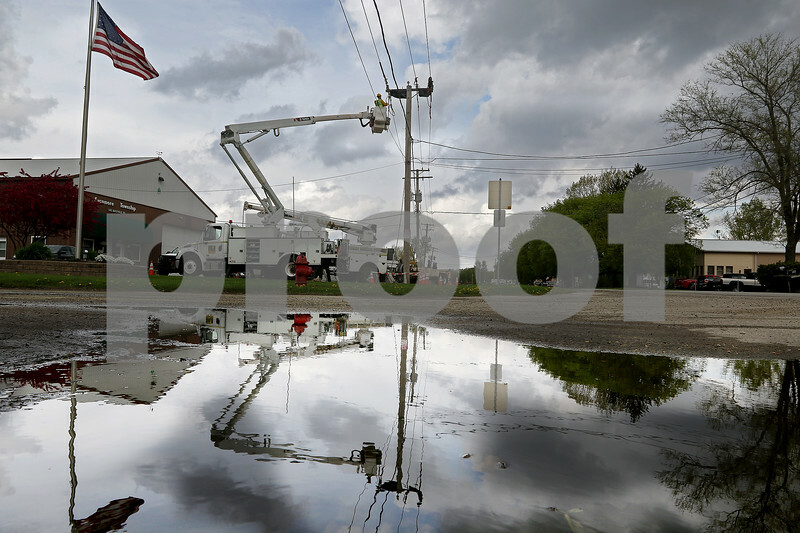 Jeremiah Huwe and Marv Usry of M.J. Electric work on changing panelling on a telephone pole outside of a Sycamore Township building at 545 Brickville Road on Wednesday, April 26, 2017 in Sycamore. Dark clouds loomed overhead, threatening to cut the work short. "Water and electricity don't mix to well," said Huwe, adding that if it were to rain, they would have to cease work on the pole.